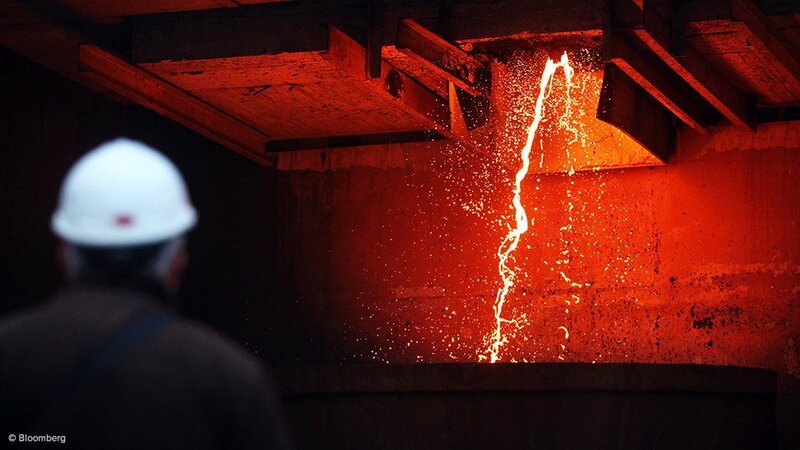 LONDON – From Turkey’s financial crisis to China’s trade war, the emerging-market contagion is infecting metal markets. Base metals markets tumbled on Wednesday, with most contracts falling more than 2% in London. Copper sank below $6 000 a metric ton and is now approaching a bear market. Not even gold, the usual safe haven, was spared from the selloff. Bullion prices sank 0.5% to $1 188/oz. Natural resource shares were also in the red. There’s a growing fear that problems in China and Turkey will lead to weaker global economic growth, and consequently hurt demand for raw materials. Losses on Wednesday were triggered by a broad retreat in China as the yuan weakened and recent data showed the economy hit a rough patch. Adding to the bearish sentiment are more signs that Turkey’s economic woes have spread. Indonesia’s central bank surprised most economists with an interest rate hike on Wednesday as the country moved to contain volatility and curb a slide in the currency. Commodities have been battered for months by worsening trade tensions between China and the US, the world’s two largest economies. The Bloomberg Commodity Index has lost 9.5% from a recent peak in May.